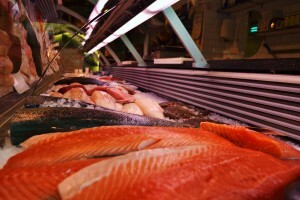 Fisheries reform set to fail over environmental inaction. BRUSSELS – Europe’s lack of political will has been blamed for the failure to act on decades of illegal overfishing. Now, there are fears that nothing has changed as it is more than ever a contentious issue between Brussels, fishermen and environmental groups. Fish Markets in Brussels, just one of the countries in the EU which makes Europe the highest consumer of seafood in the world. The European Commission is calling on the European Parliament, Member States and the fishing industry to support their Common Fisheries Policy (CFP) reform proposal as Europe’s fishing industry is on the brink of collapsing. Based on three pillars of sustainability: social, economic and environmental the proposal aims at reducing the risks of overfishing. “I want to go for sustainability as a whole. I am talking about environmental sustainability by moving to Maximum Sustainable Yield 2015 and phasing out discards (undersized or unwanted fish) . I am talking about social sustainability, because we can build up healthy fish stocks in our waters and this is the best way to increase our fishermen’s income,” says Commissioner for Marine Affair and Fisheries Maria Damanaki. So far sustainability has been the one thing that members of the Commission, Parliament and Council have agreed upon. 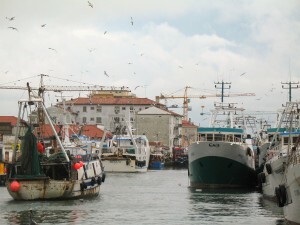 Portuguese Member of the European Parliament who is on the committee for fisheries, Maria Neves also shares this view. “I share with Madam Damanaki her conception of global sustainability not only environmental but social and economic. We have to establish a balance amongst these three pillars between the CFP”. The Commission is currently trying to emphasise the positive points on sustainability and their concern about overfishing as the proposal is coming under increasing fire from environmental groups. Saskia Richartz from the NGO Greenpeace says they have again been left disappointed with the Commission’s actions, who have failed to provide concrete details and targets to achieve aspirations on any environmental points in the new reform proposal. “We don’t think that the proposed CFP has sufficient targets, in fact it only has one target, which is the recovery of fish stocks by 2015. We support it, but it is missing a target date for implementing multi-annual plans, it’s missing feed reduction targets and its also missing targets such as the agreed target to recover the health of stocks by 2020”, she says. Adviser to the Pew Environment Group’s European Marine Programme Markus Knigge, is currently working at the forefront of Pew’s efforts to ensure that the reform of the EU Common Fisheries Policy ends overfishing in the EU and by EU vessels. He says that the Commission have not placed nearly enough priority on the environment in the new proposal. “We unfortunately do not see it [sustainability pillars] through the same eyes. In the legal text there is nothing saying that the environment should be prioritised or, that first there should be environmental sustainability in order to achieve economic and social sustainability,” says Markus Knigge. According to the Pew Environmental Group, politicians continuously decide on quotas without consideration of scientific advice. “For a ten-year period, the scientific advice was actually surpassed by 48% by politicians. There is no excuse [for continued overfishing] in terms of social concerns or economic concerns. It’s a no-brainer from our perspective,” says Markus Knigge. Frustration builds amongst environmentalists in particular over the council spending so much energy every year on deciding quotas that aren’t enforced by many member states. Markus Knigge suggests that the EU looks to the models in United States and Australia for examples, who after listening to the scientists, have imposed a complete ban on overfishing. The main solutions proposed by the Commission to deal with overfishing is the decentralisation and regionalisation of the policy. The idea works off a bottom-up approach to empower fishermen and governments to set quotas, penalties and sanctions. The highly respected Fishmongers Company in the UK have a long history of ensuring the quality and sustainability of fish sold through the UK. Chris Leftwitch, Chief Inspector for the Fishmongers Company, states that while the idea is great in theory, putting in to practice is where all the problems start. “The EU has given no guidance to what they mean by regionalisation so, of course the problems start to manifest themselves,” he says. Commissioner Damanaki agrees and continues to stress, in her discussion of the proposal, that if fish stocks are to survive and environmental sustainability is to improve, accurate information is needed. It is agreed among all parties that enforcement that remains the problem. This was demonstrated in the realise of a Pew Environmental Group report which stated that Bluefin Tuna had been over fish by 140% in 2010. Commissioner Damanaki states that it is fisherman need to learn to change their behaviour and Member States who should start supporting and promote the cooperation between scientists working in conjunction with the fisherman. Chris Leftwitch says that until the EU can change its behaviour and deliver on its aspirations, its seems that the industry and environmental groups remain sceptical about any changes on environmental sustainability.